The producers of Humans and The Young Pope are probably a bit down in the dumps right now. The second season of the former show has just launched on Channel 4 in the UK with an estimated audience of around two million. That’s well down on season one’s average of five million-plus, despite a pretty heavyweight marketing campaign. 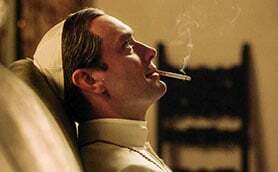 As for The Young Pope, the much-anticipated Jude Law scripted series is reckoned to have attracted just 141,000 viewers for its debut screening on UK pay TV channel Sky Atlantic. The Night Of, an HBO crime drama starring Riz Ahmed, is another show that hasn’t been rating particularly well in the UK. Having launched on Sky Atlantic with an audience around 240,000, the latest numbers (mid-October) put it at around 160,000. This is surprising for a couple of reasons. Firstly, because it’s a really good series – as evidenced by a strong IMDb score and a positive response from the UK’s TV critics. Secondly, because its ratings curve did the opposite in the US. After the first episode managed a mediocre 0.77 million viewers, word obviously got out that the show was good – because by episode two it was up at 1.28 million. It then continued to build throughout its run, peaking at 2.16 million for the finale. Presumably, the show is continuing to do well now that it has moved into the realm of on-demand. This should be a cause for encouragement for the teams behind Humans and The Young Pope. Even if you don’t get good ratings on launch night, genuine quality will eventually get you noticed, even if it does take a year or two sitting in box-set land. 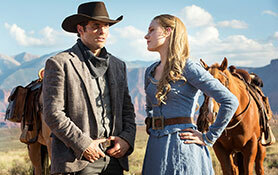 Sticking with HBO, the network will be pretty pleased with the resilience of its own robot-themed drama Westworld. In the US, the show debuted with 1.96 million and is currently at 1.49 million after five episodes. That suggests it isn’t going to turn into a Game Of Thrones-style monster hit but it’s not bad – especially when you also consider it has a 9.2 rating on the IMDb scale. The show is also doing very well for Sky Atlantic in the UK. The opening episode attracted 1.7 million for the channel and the following two have come in around 1.2 to 1.4 million. As we’ve seen from the ratings for The Night Of and The Young Pope, that’s an excellent showing for a network that rarely gets above 500,000 viewers (Game of Thrones being the big exception). Maybe there’s a positive point here about movie reboots, at least in the context of pay TV, where they seem to do pretty well. 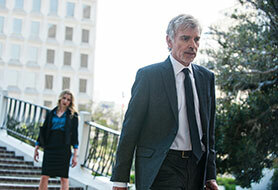 Another show that seems to be bedding in well is Amazon’s Goliath, a David E Kelley legal drama starring Billy Bob Thornton. Although Amazon doesn’t do audience ratings, it is reported this week as being “the top-binged first season of a US-produced Amazon original series ever over its first 10 days.” That’s a bit of a mouthful but it does suggest the show is proving popular and is a strong candidate to secure renewal. Of course, shows like Goliath are fortunate in that they don’t get put under the microscope in the same way as Humans and The Young Pope. Likewise with Netflix’s new royal drama The Crown. At timing of writing the show has a perfect 10/10 score on IMDb and is attracting five-star ratings from media critics. Clearly it’s a good show – but for all we know, it could be getting an audience in the UK that is half the size of Sky Atlantic’s The Young Pope. In Australia, meanwhile, there is a general sense that domestic drama is beginning to fight back against foreign imports. In the year to June 30, Screen Australia estimates that the number of hours of local TV drama rose from 518 to 561 – representing a total spend of A$376m (US$288.91m), up from A$300m. 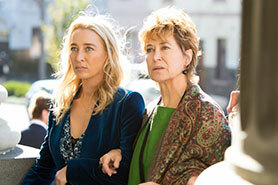 One title that continues to do well is Network Ten’s Offspring, season six of which aired this summer. Although the show’s numbers dropped from 950,000 at launch to around 600,000 later in the season, that was still good enough for the network to announce that there will be a seventh season in 2017. Finally, a plug for the C21 International Drama Awards, which take place on November 30 as part of C21’s Content London event. This week, the finalists were announced. In the Best English-language Drama Series category, finalists are London Spy, Marcella, The A Word, The Night Manager, The Night Of, Unforgotten and War & Peace. 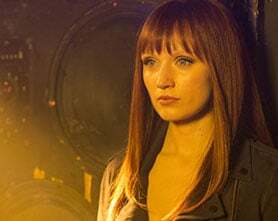 Up for Best Non-English-Language Drama Series are Black Widows, CASE, Follow the Money, Highway Of Love, Public Enemy, Section Zero, The Writer and Trapped. And the Best Miniseries contenders are And Then There Were None, Beyond The Walls, Ku’damm 56 – Rebel with a Cause, Sotto Copertura, Roots and The Secret of Elise.